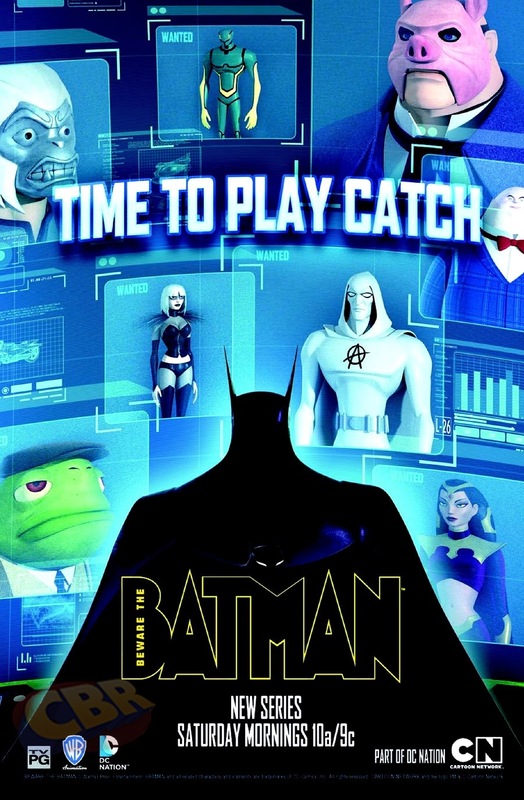 The newest animated incarnation of our beloved dark knight has finally premiered. With a combination of a darker tone with some fantastical elements this version of the character is fresh and familiar all at once. The episode starts with Batman foiling a standard robbery. This scene shows off the tone and style of the show, which is more in line with the ninety’s animated series. The computer generated animation used is very similar to the style used in the recent Green Lantern and TMNT series. While this new style might take some getting used to, the story was engrossing and worthy of the dark knight’s canon. The first major departure from the majority of Batman interpretations is the depiction of Alfred the butler. Previously, he was portrayed as an older gentleman with allusions to a military past. In this version, however, Alfred is a muscular ex-British secret service agent charged with protecting Bruce Wayne and training Batman. This Alfred does not call him master but simply Bruce and acts more like a stern father and mentor than a butler. Since Alfred was always the one who raised Bruce after the death of his parents it makes more sense he would act this way towards him even though Bruce is quick to remind him of his place. The villains of this episode are Professor Pyg and Mr. Toad. A large pig mask wearing englishman and his mutant amphibian sidekick, these two Eco-terrorists hold wealthy industrialist responsible for the destruction of the wetlands and the animals they hold dear. I am not sure if this was intended, but one thing I found interesting is the villains, while wrong in their actions, were fighting for a good cause. I wonder if this version will make it a common occurrence to pair the comic book super villain antics with real world issues that will make the adults in the audience think while the children are amazed by the action. When two business men are kidnapped by the pair, Batman rushes in to investigate. In his rush to save the day, however, an important clue is missed that shows Wayne Enterprises was one of the companies responsible for the land deal. In a case of mistaken identity Alfred is kidnapped intstead of Bruce Wayne and that’s when the situation became personal. The villains intended to set their victims loose in the wetlands and hunt them down like the animals they are avenging. Luckily, Batman swoops in for a daring rescue. Alfred, although saved by Batman, sustained an injury which causes him to contemplate his mortality and his promise to make sure Bruce would always be taken care of. With this in mind, the episode ended with the reveal of Bruce’s new body guard, DC Universe regular, Katana. This episode had everything you need for a classic Batman story, deep and motivated villains, a mystery with plenty of action and heroes with a firm sense of justice. If the rest of this season lives up to this standard and continues to improve, this show will be sure to please Batman fans of all ages. This entry was posted in cartoons, comic books, reviews and tagged batman, Cartoon Network, dc comics. Bookmark the permalink.